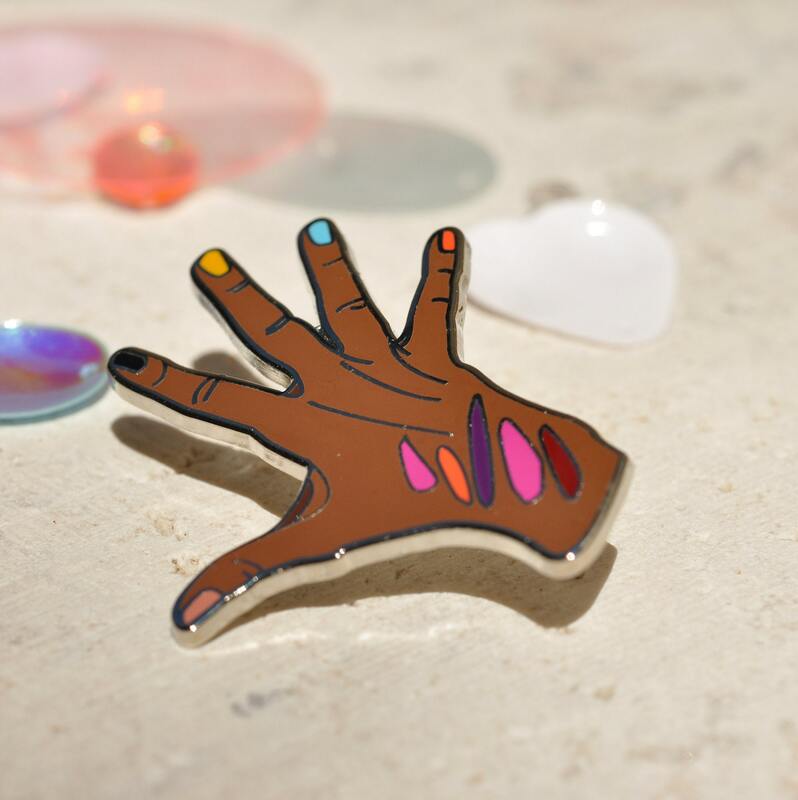 SEPHORA HAND is a high quality hard enamel pin depicting an outstretched hand with various lipstick swatches on it. Go take a 7-hour break at Sephora. Try on every shade. Don't wipe it off when you leave. You deserve at least three lip thingies.